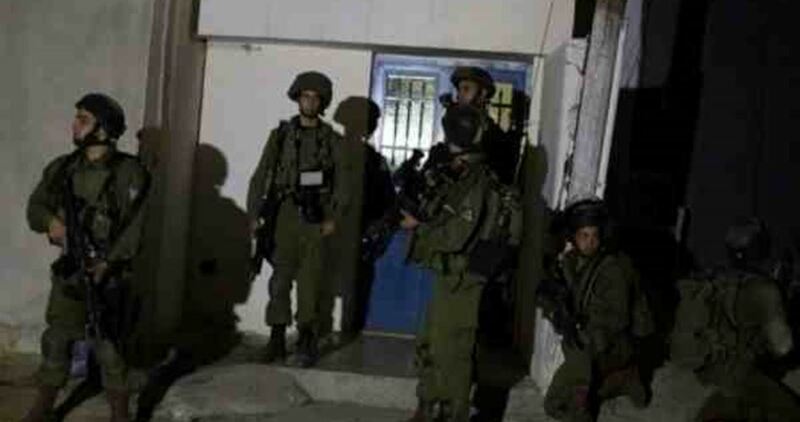 The Israeli occupation forces at daybreak Friday stormed the family home of prisoner Mahmoud Yaakba in Kafr Ra’i, south of Jenin province, in the northern occupied West Bank. A PIC news correspondent quoted local sources as stating that dozens of Israeli soldiers ravaged the home of prisoner Yaakba, held in the Meggido jail, and cracked down on the inhabitants. The assault lasted for two hours, during which the occupation soldiers vandalized the family’s property and subjected the residents to intensive questioning. he Israeli occupation forces (IOF) late Thursday abruptly closed a road near Azzun town in Qalqilya and declared the area a closed military zone. A local source reported that several Israeli ambulances and civil defense vehicles were seen on the blocked road. 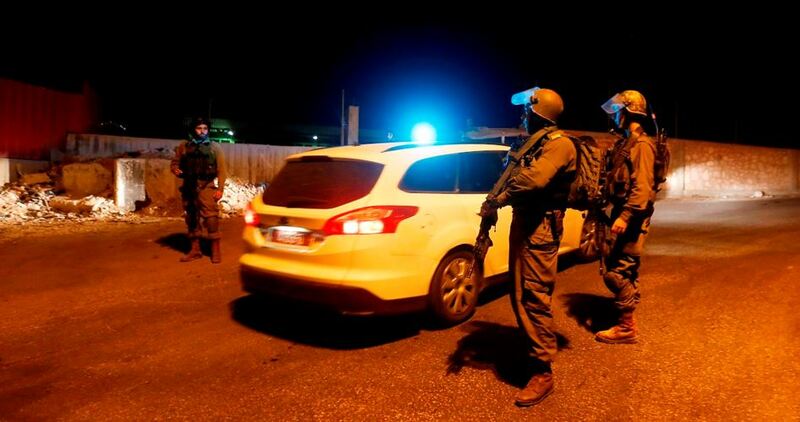 The source added that the IOF fired illumination flares in the sky and arrested a Palestinian youth at the entrance to the nearby Kafr Laqif town. 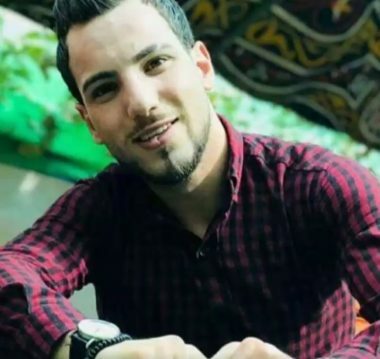 In another context, a Palestinian family form Silat al-Harithiya town west of Jenin on Thursday said that the IOF four days ago arrested their son Mohammed Shawahneh, 22, at al-Karama crossing while he was returning home from Jordan. The family pointed that their son’s whereabouts remained unknown for four days and that they have newly learned about his arrest. Hamas Movement called on Palestinian people to widely participate in next Friday’s protests and to make it a revolution day against Israeli occupation. Next Friday will witness the lunch of Nakba commemoration events, the Movement said. The group called on Palestinian national, political, and Islamic forces to intensively participate in the events. Updated: The Palestinian Health Ministry has confirmed that Israeli soldiers killed, Friday, one Palestinian, and injured 448, including seven who suffered very serious wounds, in the Gaza Strip. 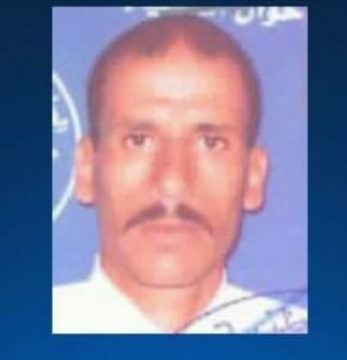 The Health Ministry said the soldiers killed Jaber Salem Abu Mustafa, 40, after shooting him with a live round in the chest, east of Khan Younis, in the southern part of the Gaza Strip. It added that, among the 448 wounded Palestinians, 112 were shot with live fire, including seven in serious conditions, and four who were directly shot with gas bombs. Sixty-six of the wounded Palestinians were moved to hospitals in several parts of the coastal region. 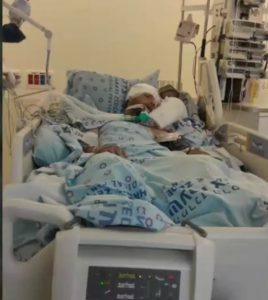 One of them is a child, 16, who was shot with a live bullet that penetrated both of his legs child trying to place a Palestinian flag on the border fence. At least one of the wounded Palestinians is a medic who was shot while rushing to provide treatment to injured protesters. 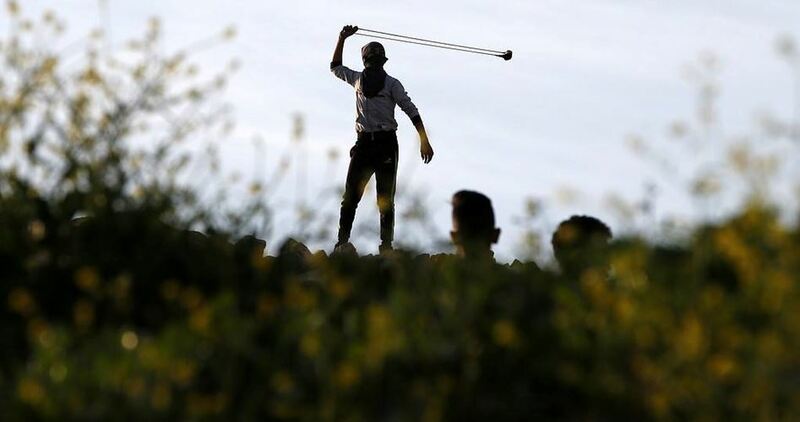 It is worth mentioning that many protesters managed to remove a section of the border fence, east of Gaza Strip, before the soldiers started firing at them, while many Palestinian hurled stones. Some protesters flew burning kites across the border fence, causing fires, before Israeli firefighters rushed to extinguish them. Fire also broke out in an Israeli colony near the border area when an Israeli colonialist settler tried to fly a burning kite into the Palestinian side. Angry protests within Fatah Movement and some factions of the Palestine Liberation Organization (PLO) have intensified over measures taken by the Palestinian Authority against the Gaza Strip, especially the salary crisis and the lack of commitment to pay the full wages, as announced by President Mahmoud Abbas during the recent National Council conference in Ramallah. Fatah Movement in the Gaza Strip decided to carry out a series of measures in protest of the government’s policy towards the sector’s employees. The decision came during a prolonged meeting on Wednesday at the residence of the Movement’s chief in Gaza, Ahmed Halas. “We will exercise our natural right to end those measures by legal and legitimate means, and we will not abandon our national and moral responsibilities in defending the rights of our people, mainly the martyrs and the wounded and our heroic families, as well as all the employees who have borne the burden of the struggle and contributed to the establishment of the Palestinian National Authority,” Fatah Movement in Gaza said in a statement. “The natural solution to address all the problems of Gaza begins with the government of national accord assuming its full responsibility in the southern provinces alike the northern governorates, and enable it to extend full control over all aspects of official work without interference from any organization or party,” the statement added. The Movement in Gaza held Hamas responsible for obstructing the handover of ministries in Gaza to the national accord government. In this regard, it called on the organization to implement the agreement which was reached in Cairo last year. Fatah called on the Palestinian president to direct the government to immediately disburse all state employees’ salaries. In parallel, dozens of PA employees in Gaza held a strike on Wednesday at the Unknown Soldiers’ Square in Gaza city. Protesters, who included families of martyrs, carried banners demanding the government to pay their salaries. Israeli intelligence officers handed, on Thursday evening, an order preventing the head of the Higher Islamic Committee and Grand Mufti of Jerusalem, from entering the West Bank for four months. 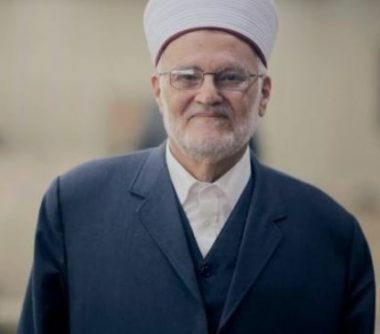 The soldiers summoned Sheikh Ekrima Sabri for interrogation in the al-Maskobiyya police station, in West Jerusalem, where they handed him the warrant. The order claims that Sheikh Sabri “communicated with terrorist parties that harm Israel’s security,” quoting an Emergency Law which predates Israel, issued in 1945. It is worth mentioning that, earlier this month, the soldiers detained Sheikh Sabri, after invading his home in the Suwwana neighborhood in occupied Jerusalem, and handed him an order preventing him from traveling abroad. Talking to the Palestinian Information Center, Sheikh Sabri described the order as “oppressive, illegal and arbitrary,” and added that this order was the fifth in recent years. He also said that the order stated that the ban can be renewed for four more months. Hundreds of Palestinian civil servant in the besieged Gaza Strip demonstrated yesterday demanding the government pay the outstanding balances of their wages and to reject the punitive measures imposed by the Palestinian Authority on the Strip. “The government of Rami Hamdallah has adopted a piracy policy against the employees’ salaries,” the civil servants’ union said, adding that thousands of civil servants were forced in to early retirement on unfair terms. The employees stressed that they will continue their protests until their rights are fully achieved, saying “these are our rights granted to us by the constitution and the law, and not a gift from anyone”. “We reject all administrative, legal and financial measures taken by the Government of National Accord against the civilian and military personnel in Gaza,” said Arif Abu Jarad, the head of the union representing Palestinian Authority employees in Gaza. Abu Jarad called on Palestinian Authority President Mahmoud Abbas to force the government to pay salaries in full before the holy month of Ramadan and to cancel the punitive measures against Gaza. The union official reiterated the need not to involve the employees in the political situation, saying they are not responsible for the failure of the reconciliation process. Settlers located 22 caravans in Khallet Umm Al-Fahm, south of the occupied West Bank city of Bethlehem, under the protection of Israeli occupation forces. Ahmad Salah, coordinator of the Anti-Settlement Committee in Al-Khader, told Quds Press that the occupation claims that the 22 dunums (0.022 square kilometres) of land in the area is “state land”. Sixteen Palestinians were injured today at dawn and scores suffocated by teargas fired by Israeli soldiers accompanying settlers in the northern West Bank city of Nablus, said a medical source. Director of the Red Crescent’s First Aid and Emergency Center in Nablus Ahmad Jibril told WAFA News Agency that Israeli forces shot two protesters with live ammunition and 14 others with rubber-coated steel bullets, and caused 45 others to suffocate from tear gas inhalation. He added that the injured were rushed to a local hospital for treatment, while those who suffered suffocation received treatment at the scene. This came as busloads of hundreds of settlers forced their way into Joseph’s Tomb (Yusuf Tomb), east of Nablus, under heavy Israeli military protection, triggering clashes with local Palestinian residents who attempted to block settlers’ access to the site. The Israeli Soldiers opened fire at them. 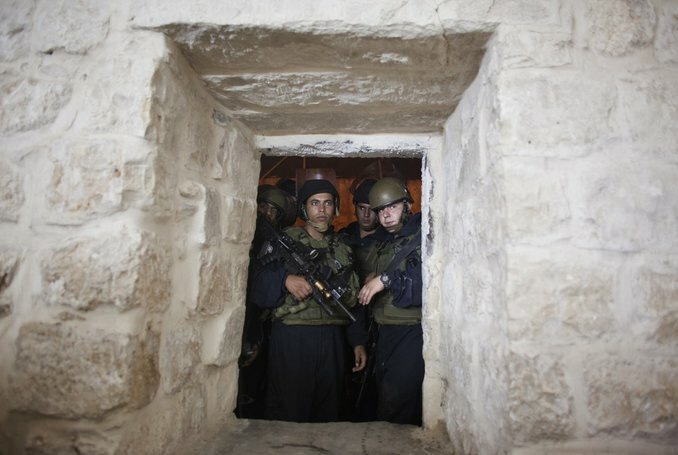 A Palestinian news source said an Israeli minister raided the Tomb along with the settlers. Israeli Minister of Agriculture, Uri Ariel, was among dozens of extremist Jewish settlers who raided the Joseph’s Tomb inside Nablus city, in the occupied West Bank last night. Settlers repeatedly break into Joseph Tomb, located in a densely Palestinian populated area in Nablus, provoking chaos and confrontation with local residents. This morning also, Israeli settlers set a home for Dawabsheh family on fire in the village of Duma near Nablus. Palestinians posted photos of the burned-out home. #صور | من منزل عائلة دوابشة الذي أحرقه مستوطنون في بلدة دوما قضاء نابلس فجر اليوم. In July 2015, a home for Dawabsheh family was targeted by an arson attack perpetrated by fanatic settlers, which claimed the lives of parents Saad and Riham Dawabsheh and their 18-month-old baby.